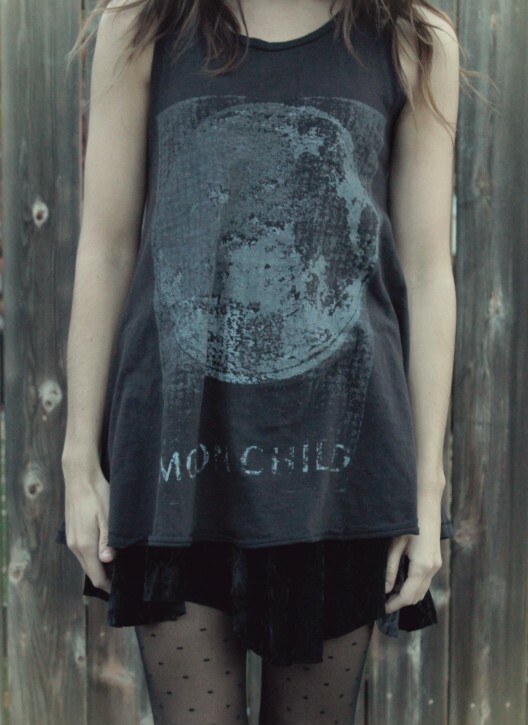 I have had my eyes on this top from Free People since I first saw it in the catalog...and I am so happy it's finally mine! I've been wearing it so much that I almost slept in it the other night. haha! I used to wear graphic tees all the time when I was younger, and I just kind of grew out of them. But I think I might be wearing them a little more now, this ones made me reconsider a bit ;) Another current obsession of mine are these polka dot tights! I pair them with anything and everything I can. ALWAYS great vintage in my shop! I love your whole look. 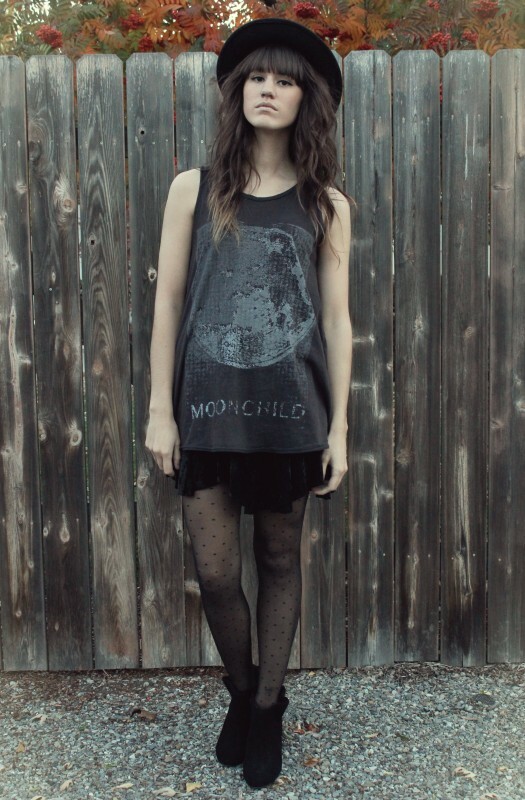 totally need to get this shirt, I am obsessed with moons! 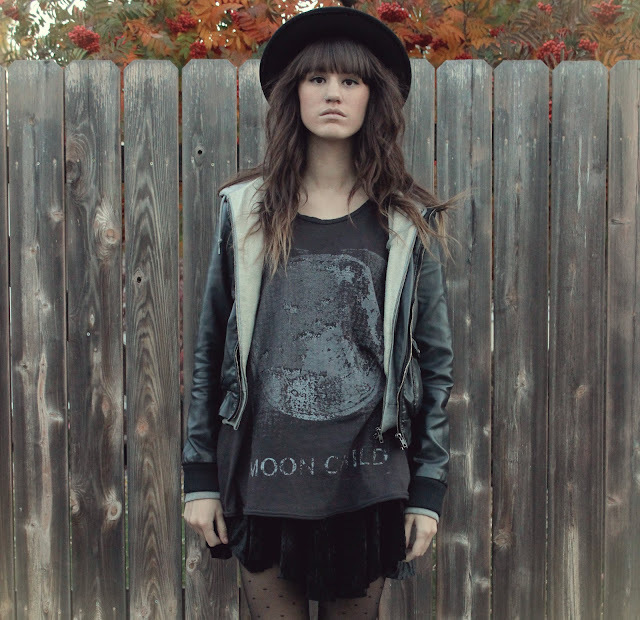 love the hat and how you paired it with the outfit!! love this look. the shirt looks so cozy! Killer tank. Love the polka dot tights. Wow, this is a really dark look - I love it! 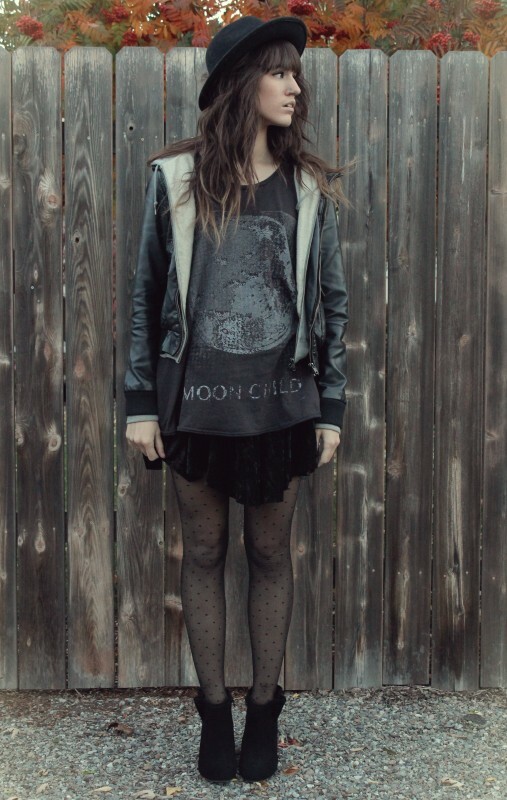 I love the baggy t-shirt with the skirt and tights! It's very feminine with a little bit of rock. Great look! love this winter outfit and your hair looks amazing! 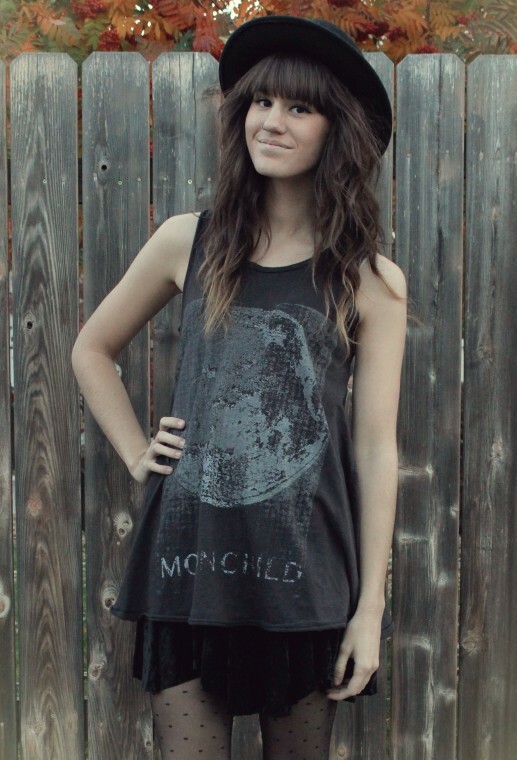 Love the Moon Child top and the hat is so adorable! Love this look, but man that skirt is beautiful! Wow it's a little bit different than your others outfits but I like it, you're so beautiful!